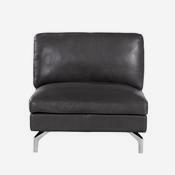 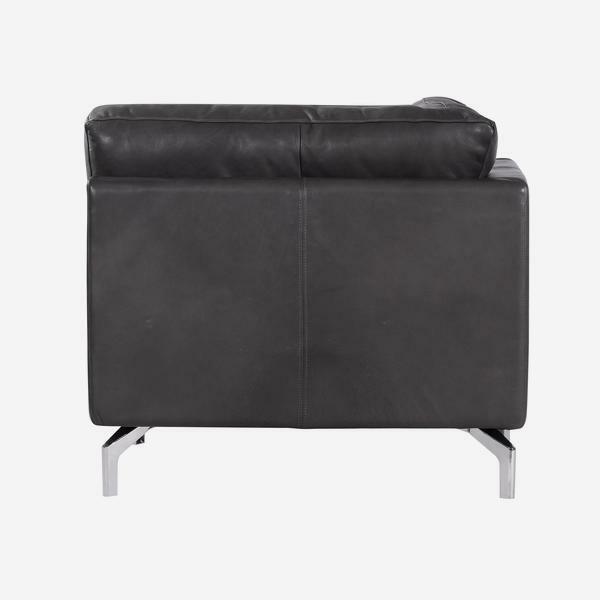 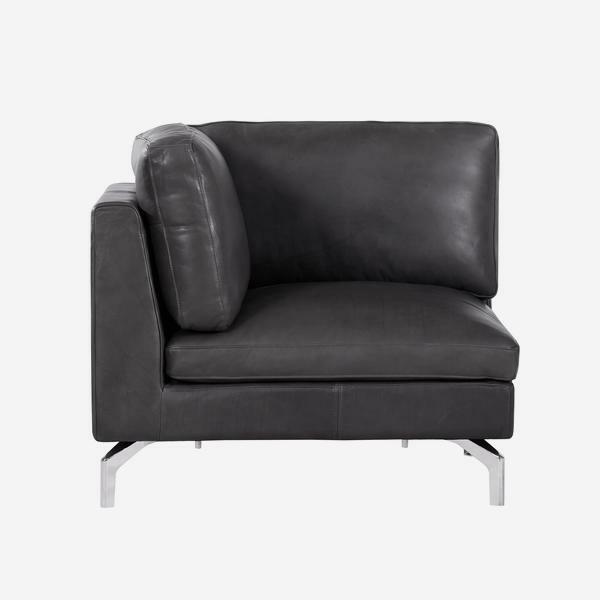 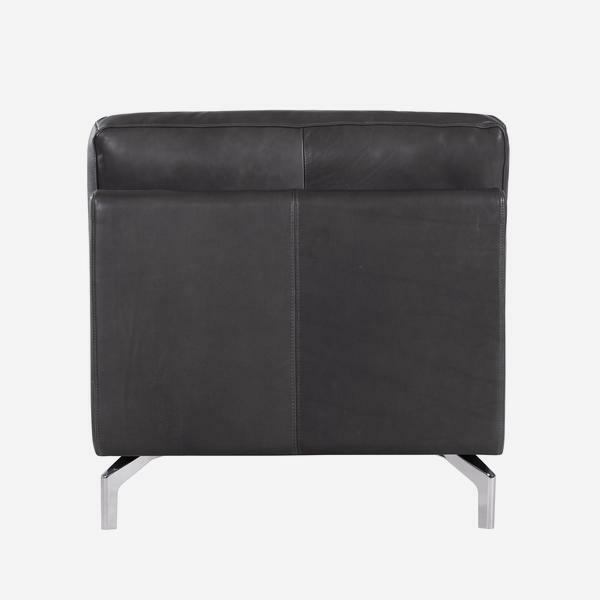 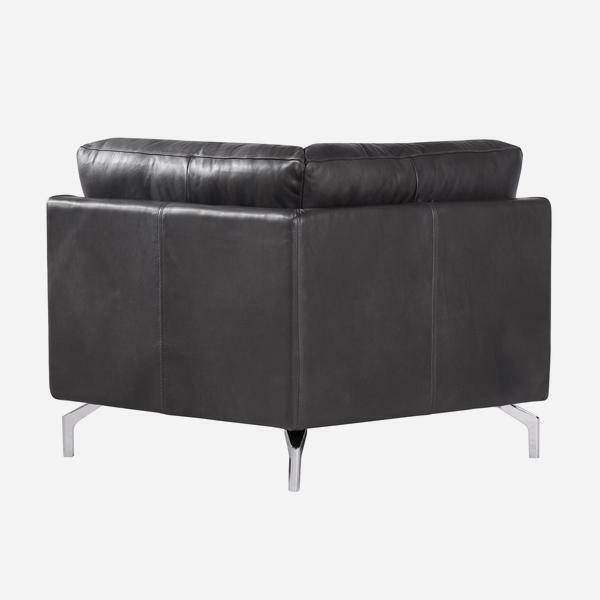 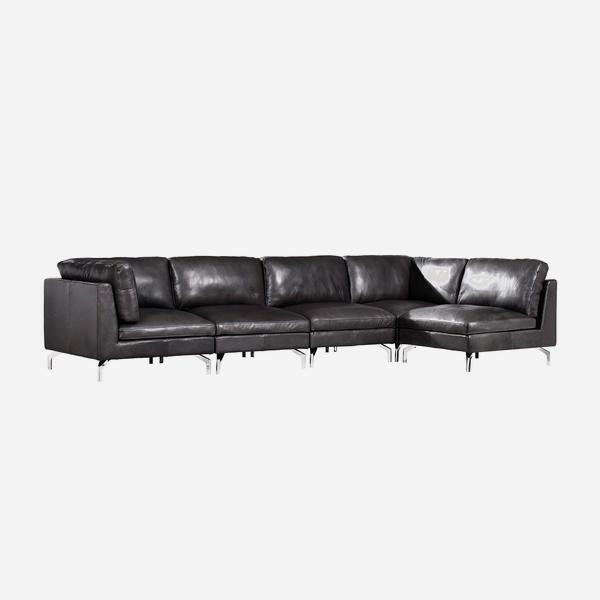 A smart, grey leather sectional sofa with chrome spider legs. 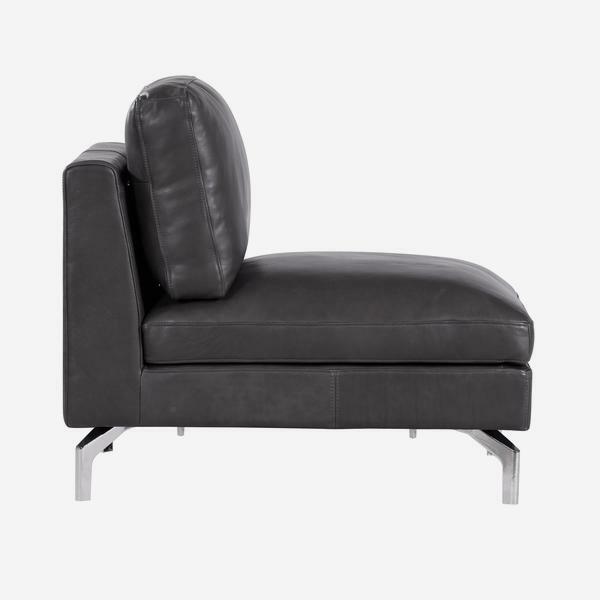 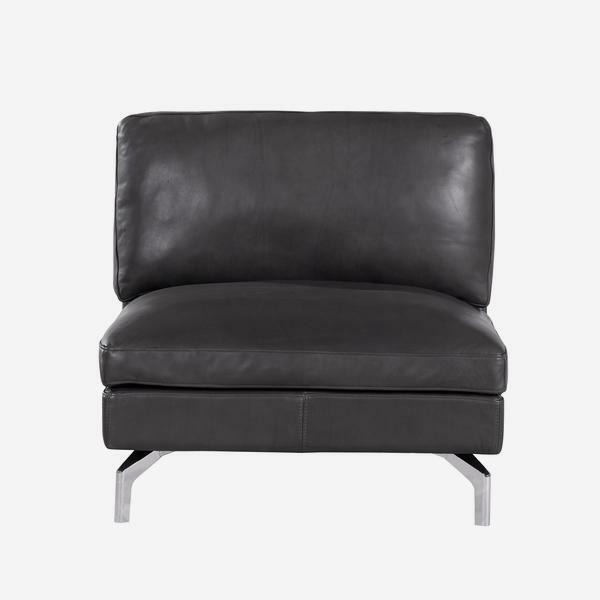 Kimber boasts a deep seat for laid-back reclining whilst the style stays clean cut and contemporary. Variable to all sizes of room, Kimber would especially suit commercial spaces.